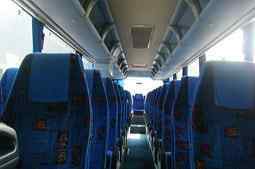 Bristol Minibus and Coach hire is our successful business that has been running for many years. 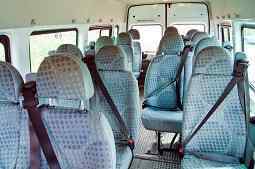 We service in and around the Bristol area and offer anyone who needs a minibus, the chance to use our services. There are many reasons why you might want to hire a vehicle to travel through the city of Bristol. Perhaps you are organizing a hen night, birthday party, school trip or even a family day out. It’s really easy to get in touch with us for a quote. 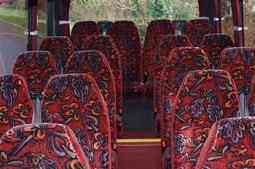 Simply enter your details and requirements on the online inquiry form that you can find here on www.coachhirebristol.net. We will get back to you and do our best to answer all inquiries promptly. We know that not everyone has a huge mountain of cash to splash, which is why we will always give you our best possible price. Bristol is the largest city in the South West of England, with a population of around half a million people. There is lot’s to see and do in the area during the next few years and just in general! There is a lot of religious architecture found in Bristol, including Bristol Cathedral and St Mary Redcliffe Church. Both are beautiful buildings with some interesting history behind them. Bristol is home to Bristol zoo, probably one of the most famous zoos in England. This zoo would make the perfect location for a school trip or day out with the family. There’s lots to see and the customer service in this location is great, so you can really make a day of it and have heaps of fun. You can, of course, check out the amazing animals who live in the enclosure, but there are also some great places to eat at the zoo. Arnos Vale Cemetery is an amazing place to visit in the city also. You might not think that a cemetery sounds like a fun place for a day trip but many find the location very relaxing. It’s actually very popular for meditation, so if you are into this kind of thing, it’s worth making a stop there. There is a cafe at the cemetery too, so don’t forget to stop there for a bite to eat. At-Bristol is a science museum that people young and old can enjoy. The little ones can even take part in their very own science experiments, this museum definitely goes above and beyond most out there which is why it is so popular. There are some actually really interesting events happening in Bristol in the next couple of years. The hilarious comedian Paddy McGuiness is putting on a show at Colston Hall early next year, so this is a great reason for using minbus hire in Bristol. The Hairspray tour will be in Bristol in March of 2016, this is a must see show for all lovers of musical theatre. Something known as “Bristol Doors Open Day” will be in the city on the 16th September this year. This day basically lets tourists and locals alike inside some of the most important buildings in Bristol. This can be a fascinating experience and best of all, its completely free of charge. In terms on night-life, Bristol definitely doesn’t fall short so it’s an amazing location if you are all out to party with your friends. A popular place for hen parties is Alterego, where you will get your very own cocktail-making lessons! This is a great bar and the perfect place to start your night out in the city. Bar 135 is another awesome bar to try out and it’s right in the centre of Bristol. If you are looking for a high quality restaurant to eat tasty food why not try Ciao, Chai Shai Kitchen or Urban Tandoor? All serve delicious food and where you choose to go purely depends upon personal taste. Your designated chauffeur will take you wherever you need to go, which means that you can relax and just enjoy the ride. Now that you have seen what’s on offer in the city that you are visiting, let’s take a further look at why we are the best company for minbus hire in Bristol. At coach hire bristol, we all well known for the great service that we provide our customers with. We have a large fleet available, so you can choose your ideal vehicle depending on how many people are with you. From an 8 seat mini bus, a 32 seat coach and everything in between. Our vehicles are sleek and sophisticated, so you’ll definitely be travelling in style. We have positive testimonials from customers all around the country who are pleased with our services and return to us, again and again. At coach hire Bristol, we will always do our best to offer you competitive prices for the best service around. Our vehicles of course come with a qualified and professional driver, who can take you wherever you want to go for as long as you’ve hired the mini bus for. If you are visiting the area of Bristol for whatever reason, a reliable transport method will make your stay even better. What are you waiting for? Get in touch with us today via our inquiry form at coach hire bristol and start off the process of booking Bristol coach hire services.